Pervaiz of Shah Photography has covered a huge number of weddings at this ever popular wedding venue which overlooks St Ives. The venue has outdoor wedding facilities plus indoor facilities for wedding ceremonies and wedding receptions large and small. The grounds make great backdrops for your wedding photographs and the stunning sea views and views to St Ives will not fail to impress. Pervaiz is the ideal choice for your wedding photographer at Tregenna Castle having detailed knowledge of the grounds he'll know the best places for wedding photography to suit the lighting conditions and locations close to Tregenna; the nearby beaches and of course St Ives so popular with people from all over the world. The hotel has 81 bedrooms and in addition 70 appartments which provides plenty of accomodation for wedding guests of the largest wedding to stay. Many guests will stay at Tregenna before the wedding and certainly for the wedding night after dancing the night away and enjoying a drink or two it's so convenient not to then have to travel to get to your accomodation. Each wedding will be coordinated for you by the wedding team at Tregenna who are proud that each wedding is unique and not the conveyor belt of weddings that some people refer to when they talk about Tregenna. 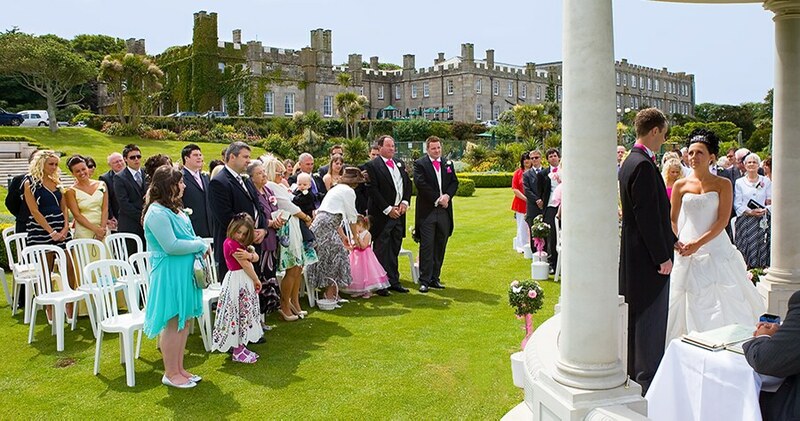 This is despite Tregenna being the chosen venue for 30 weddings during one month! "I have photographed so many weddings at Tregenna and had our wedding reception at Tregenna so it holds special memories of our wedding reception and of all the weddings I have photographed there. For our wedding my father who was a professional wedding photographer plus another three wedding photographers were taking photographs at our wedding plus a videographer so it makes me smile when wedding photographers make a big thing that there are two of them to photograph weddings. My father was one of the first professional wedding photographers in Cornwall and had a fabulous reputation not only as an amazing photographer who was way ahead of his time but also as a gentleman with the utmost integrity. Comments about the wedding team and support staff from brides and grooms who have held their wedding or wedding reception at Tregenna are always favourable and having been part of loads of wedding breakfasts I have noticed an improvement in the quality of the food and presentation." comments Pervaiz. He also said "I will never forget the many wedding receptions that Paul Simmons has played at. He has an amazing reportoire of music from all genres and the atmosphere he creates is so special you can contact Paul by email paul@paulsimmonsmusic.co.uk, landline 01209 860 186 or mobile on 07714084644. Many wedding guests and couples getting married will stay at Tregenna and enjoy a bit of pampering in the days leading up to the wedding. There is a beauty salon and hairdressers at the hotel along with a gym, indoor and outdoor swimming pools, sauna, steam room and jacuzzi. The walks through the grounds and golf course are available to those who prefer outdoor pursuits. 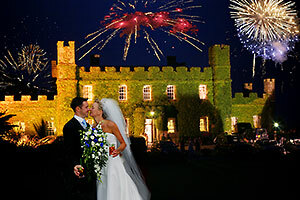 Many couples have a firework display at Tregenna Castle which provide great photography opportunities as guests ooh and ah in amazement. 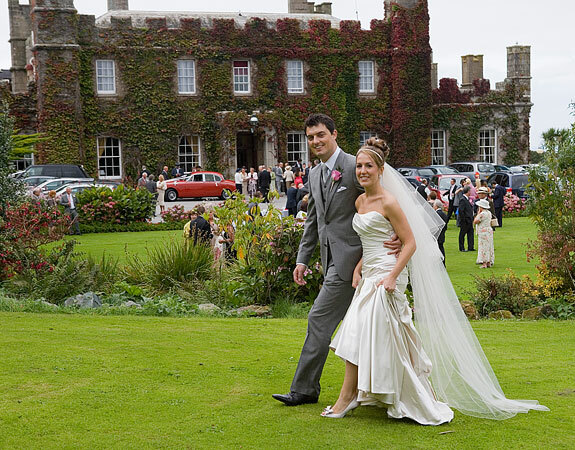 Tregenna Castle has so many fabulous backdrops for your wedding photography. Photographers are spoilt for choice - not surpising this is a favouite wedding venue for Cornwall photographer Pervaiz Shah who is the most prolific wedding photographer recommended by Tregenna.